March has started off with a BANG. The weather has been perfect sunny skies 80 deg. more jacks, ran some wahoo lures, more jacks. We were hooking 5 at a time. Lot of action. There were some blue sharks mixed in with the jacks a few days. Lot of fun to catch. were schooling they would hit just about anything. Yo zuri lures working good on the troll. 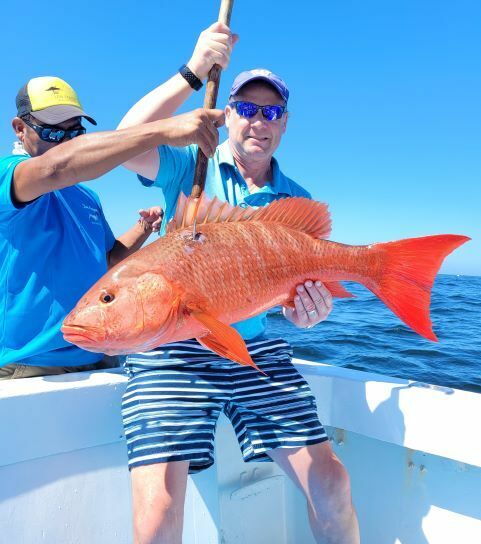 snapper have been taking live bait and rapalas as well. Diamond jigs have been working as well. The fishing is holding strong and will only continue to get better are the water temp keeps going up.